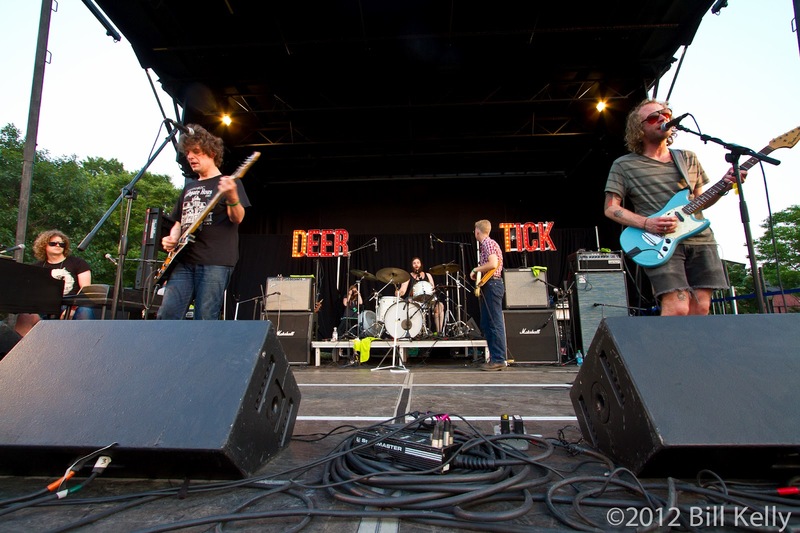 Providence based alt-folk-rock band Deer Tick played a brief but exubernt set in the neo-hipster, warehouse waterfront neighborhood of Red Hook Brooklyn last Thursday night. 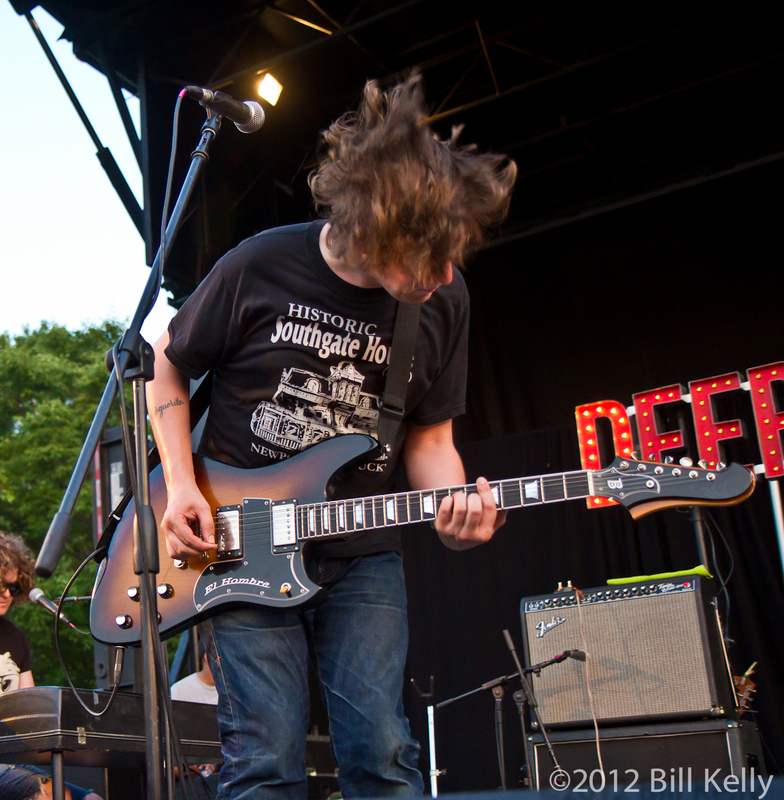 Red Hook, former home of dockworkers and milieu for the movie “On The Waterfront” is another one of those New York neighborhoods transitioning from dangerous to home of kimchi tacos. 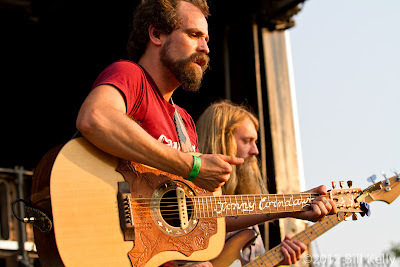 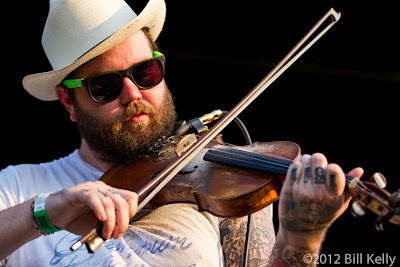 Following outstanding opener Jonny Cordawg (Nashville fiddles and pedal steel meets ‘how you doin’) Mike McCauley and his band played a set that included a tribute to recently departed Beastie Boy Adam Yauch and several tunes from their newest release Divine Providence. 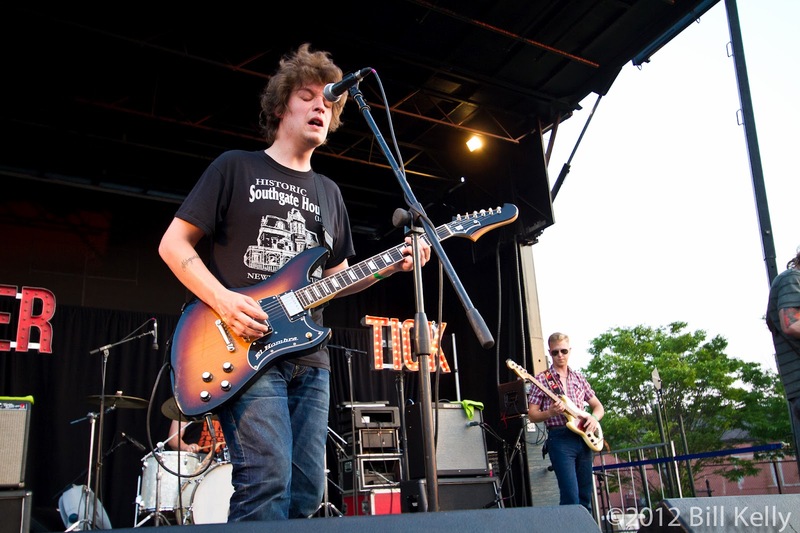 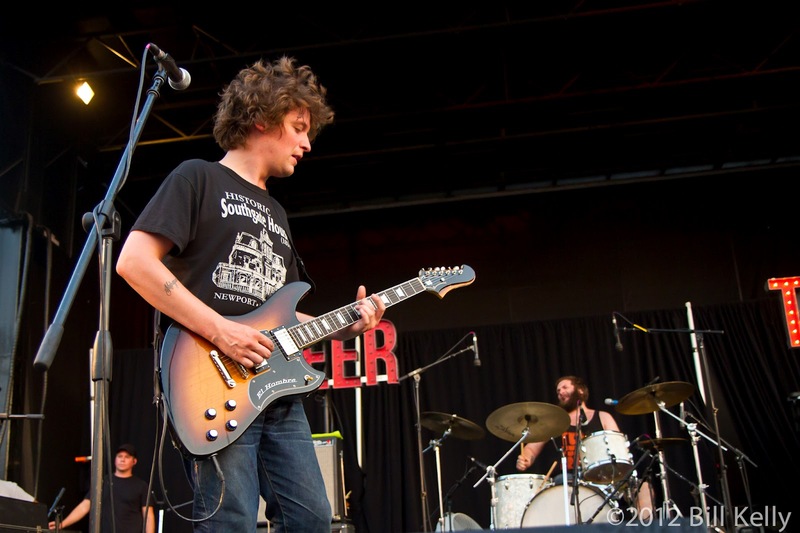 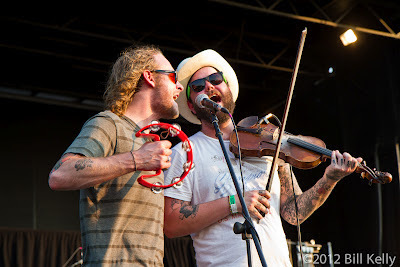 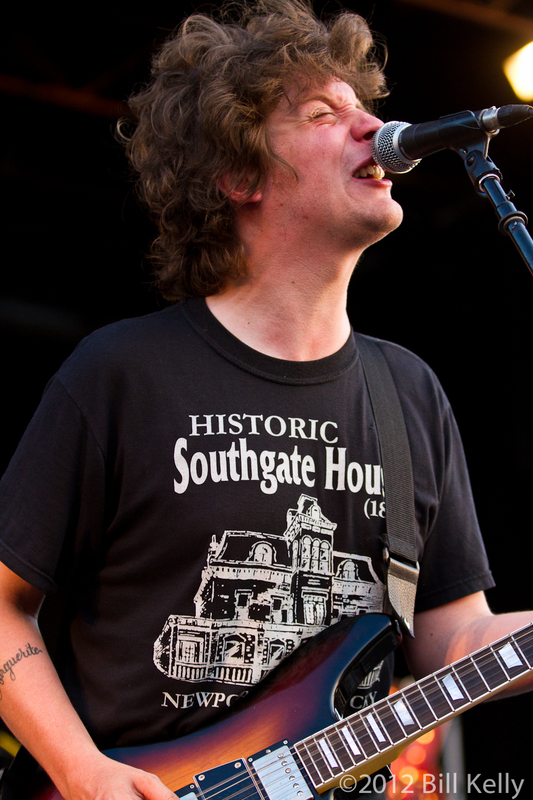 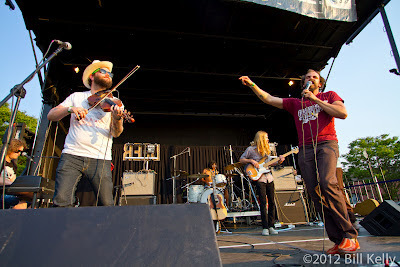 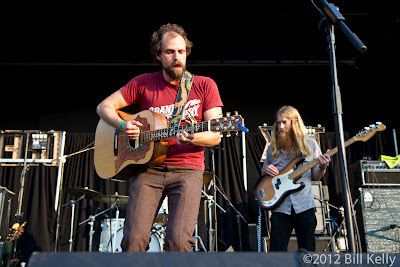 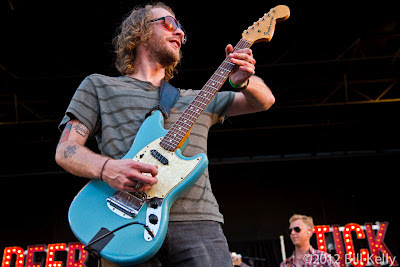 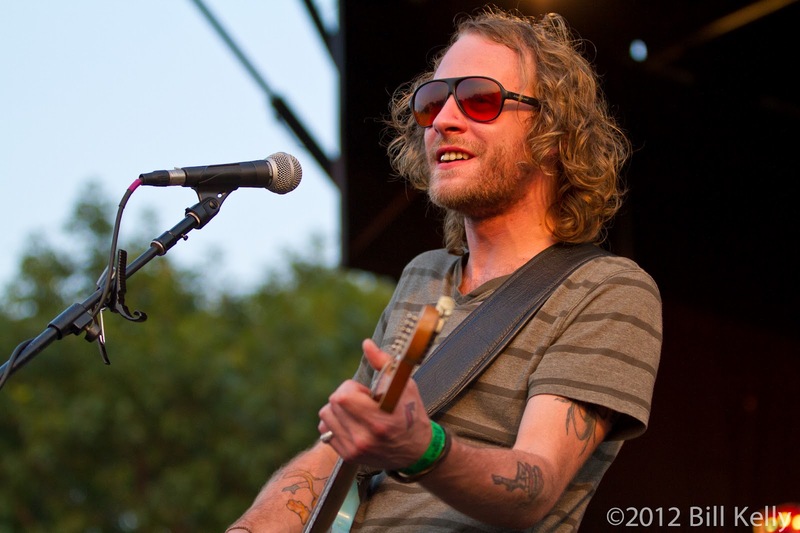 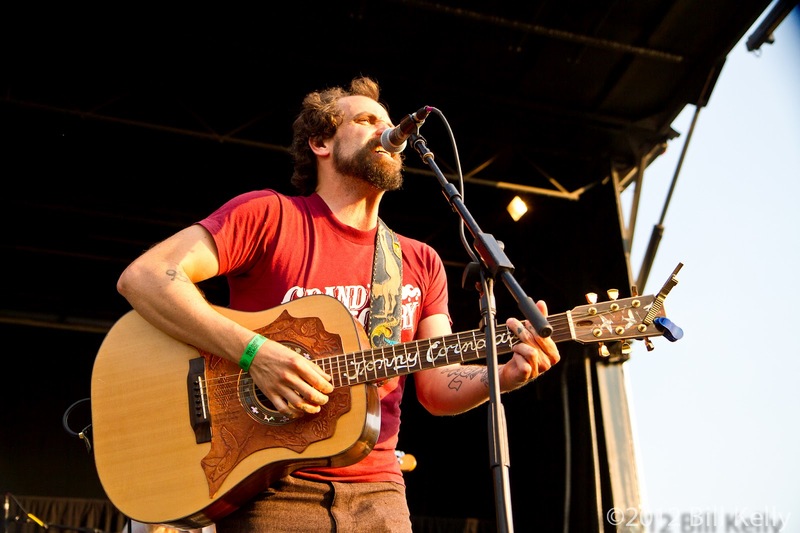 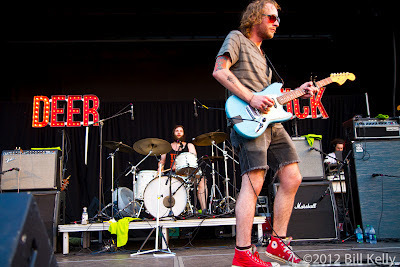 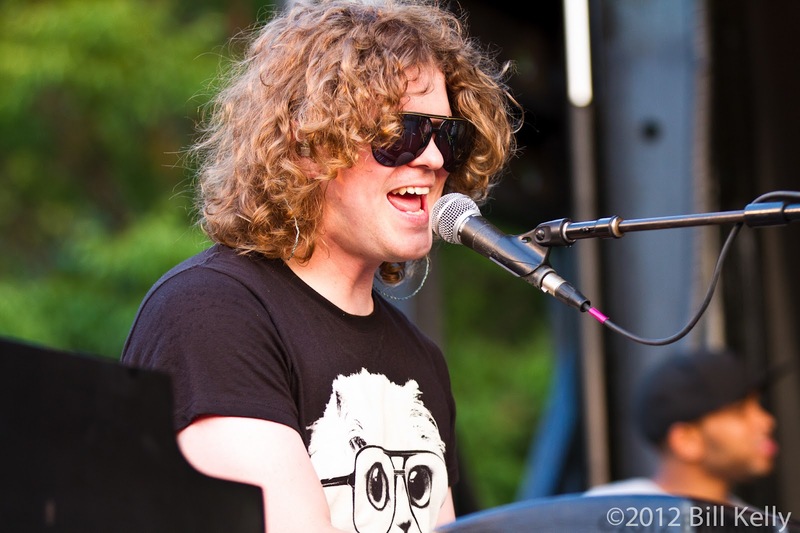 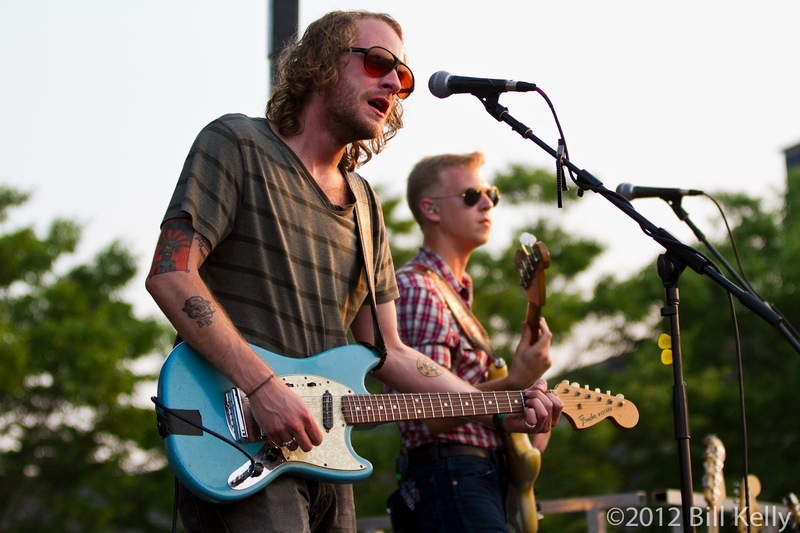 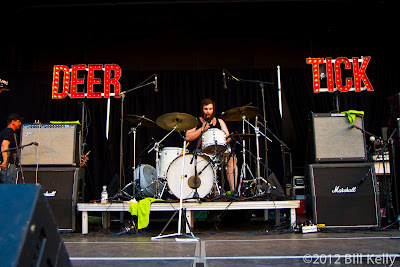 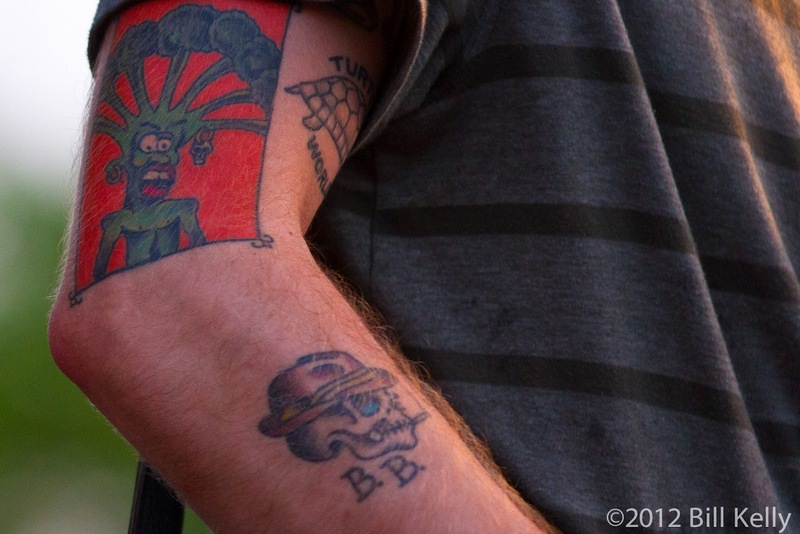 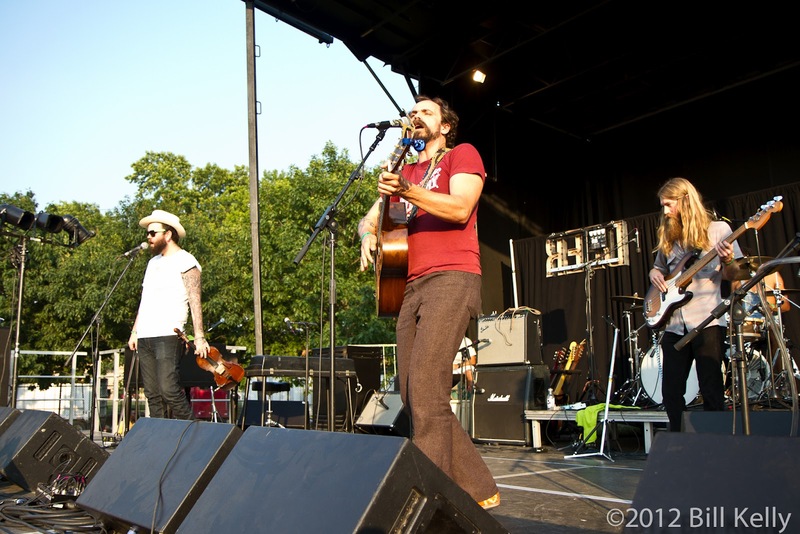 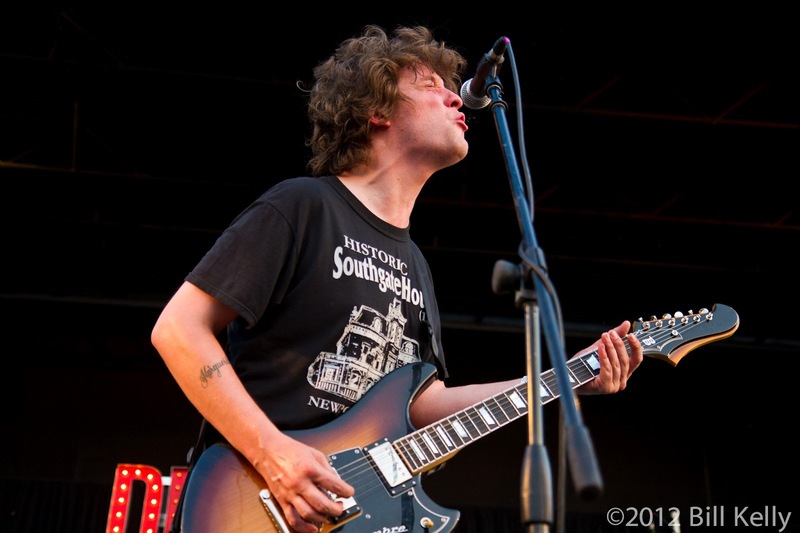 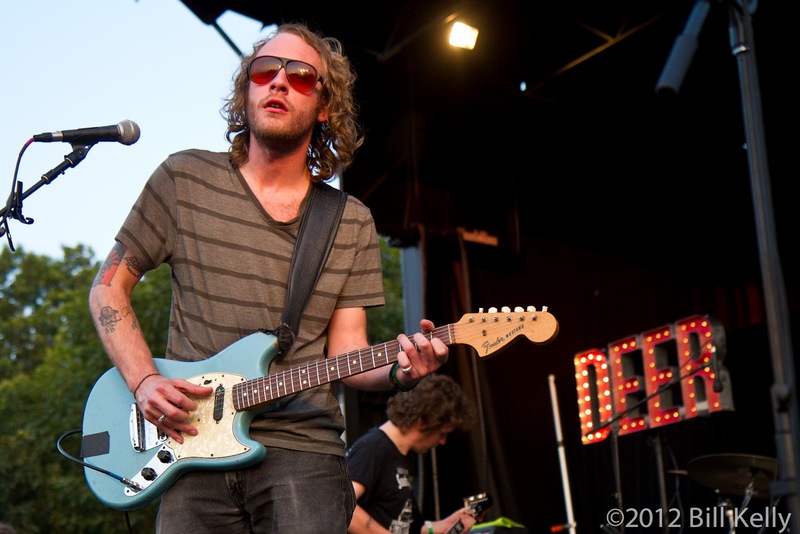 Playing as the sun set across the Park’s ball fields, Deer Tick demonstrated the challenge of clearly defining their musical style, playing a raw, loud set of that included power chords, foot stomping rock with pit stops at rap and country.